Ebola Virus Disease (EVD) Ebola Virus Disease (EVD) is a severe, often fatal illness; with a case fatality rate of up to 90%. It is one of the world’s most virulent diseases. 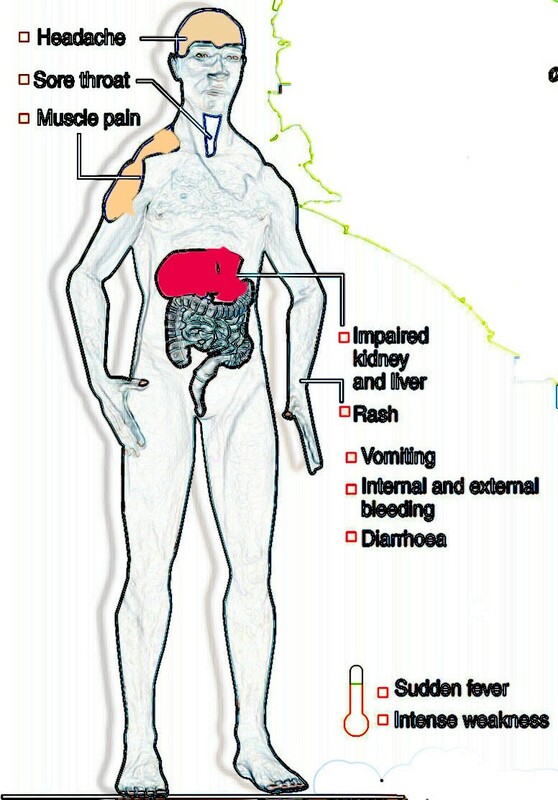 The infection is transmitted by direct contact with the blood, body fluids and tissues of infected animals or people. Severely ill patients require intensive supportive care. Isolation of Ebola patients from contact with unprotected persons. The aim of all of these techniques is to avoid contact with the blood or secretions of an infected patient. If a patient with Ebola dies, it is equally important that direct contact with the body of the deceased patient be prevented.